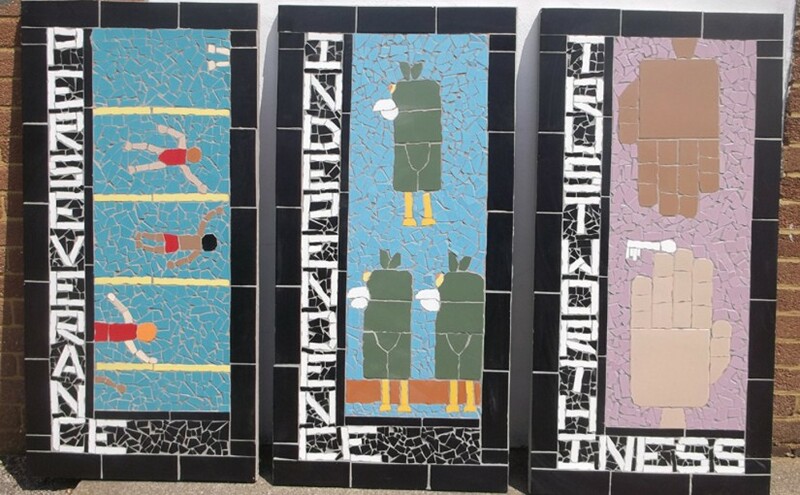 For schools with their own set of values mosaics can depict them with an image – to allow communication to all ages and learning styles, and to visitors to the site (also see benefits of mosaics). 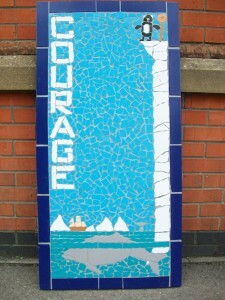 Each mural is 62cm x 122cm high, with the value written down one side and image alongside. 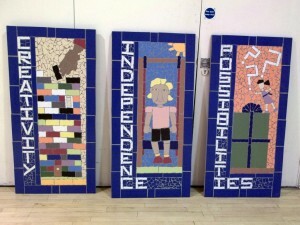 They can be placed all together, in small groups or individually around the school. Examples can be seen in the gallery and example costs found on project ideas & prices. At the start of the project the children will submit sketches for each of your values (I have a list of ideas for each value to give the children a head start, usually based on previous projects) and then we choose the winning design for each. I find the ideas and creativity amazing – my favourite example being a penguin about to jump off an iceberg to depict courage. For more information see how a project runs. Please see testimonials, list of schools I have worked with, and do not hesitate to contact me with any questions or to talk through your ideas. 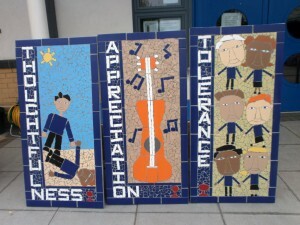 For Christian values for schools (www.christianvalues4schools.org.uk) there’s a list of 15 values. The images for these can either have a Bible story, an everyday image or both.